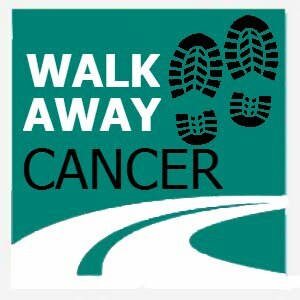 THE BAJA WALK 100 - TAKE STEPS TO FIGHT CANCER! The Baja Walk 100 is a fully-supported, 100 mile (160km) walk and adventure race over 5 days the raise money to fight cancer in Baja California. The challenge begins in San Felipe Baja California, on Wednesday, March 2, 2016 and finishes on Sunday, March 6, 2016. The minute you sign up, you’re part of this incredible challenge! Create Your Challenge; create a team of 4 and walk only 5 miles (32 km) each day or walk the full 100 miles (160 Km) solo over the 5 days...this is your challenge that will change your life and the lives of many. Sign up as a Baja Walker or Volunteer Today! WHAT IS THE BAJA WALK? -- BAJA WALK 100 is an all inclusive fully-supported challenge — 100 miles, 5 days, raising money to fight cancer. Fully-supported means exactly that - fully supported. Every 5 miles of the Baja Walk route, we will provide a “Watering Hole”, these stops will be manned and provide Baja Walkers with fruit snacks, water, shade and restrooms (porta-potties). They will also serve as a Stagecoach Stop (transportation to and from camp for Baja Walkers). Each night Baja Walkers, support teams, and quests will be provided safe clean camping area, dinner, nightly awards parties, and live entertainment. Be part of this incredible experience. Go home with priceless memories, new friends for life, a really cool Baja Walk 100 t-shirt, and knowing you are supporting the fight against cancer. Q: When and where does the Baja Walk 100 take place? -- The Baja Walk 100 challenge begins north of San Felipe Baja California, on Wednesday, March 2, 2016 and finishes on the Malecon in downtown San Felipe on Sunday, March 6, 2016. Q: How to become a Baja Walk Volunteer? -- There is a volunteer position to fit you. To find available positions visit www.bajawalk.com, and link on the Volunteer tab at the top to search for volunteer opportunities and find out more. Q: How to sign up to walk the Baja Walk 100? 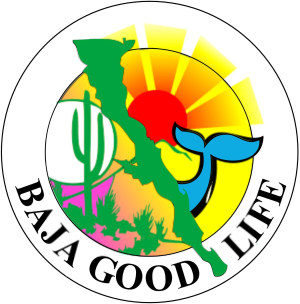 -- Simple, just go to www.bajawalk.com and sign up today for the Baja Walk 100 Challenge! Take the Challenge either as a Solo Baja Walker or Create a Baja Walker Team. Deadline is Feb 15, 2016. The Baja Walk 100 is an incredible adventure of 100 miles for 5 days to raise money for the fight against cancer. Understand that you can create your own challenge as a solo walker or as a team. The requirement is to walk only 5 miles each day or if you are ready for it walk the full 20 miles each day. Q: Why take the challenge? -- The Baja Walk 100 is more than just a walk. It is a challenge and an adventure taking steps to fight cancer. 100% of all pledges and donations will go to the San Felipe Cancer Society and Mujeres De Viven. Q: Where will we spend the night? -- 4 nights of your adventure, The Baja Walk Crew will set up a safe and clean campsite at 4 predesignated campsites in the San Felipe Desert. You will be well cared for with food, water, support, plus entertainment with awards and giveaways each night at camp. Q: Do I need to spend the night in Camp? -- No it is not a “have to,” but we highly recommend it! Being part of the nightly Baja Walk camp is an experience and a chance to bond with other participants trying to go the distance against cancer. For those who choose to leave camp for the evening; you are required to check in and out each night and morning at the "Start Up Booth". Q: Can I bring my pet on the Baja Walk 100? No, we truly love our animals and appreciate your pet’s. For the safety and comfort of all, we ask that you do not bring your pet(s). We are not equipped to accommodate pets. Q: Can my friends and family come out to the Baja Walk 100 camp to enjoy the party each night with me? -- Yes, they will need to buy a guest pass for each night they wish to participate. Deadline is Feb 15, 2016. Guest passes are $10 per night and include dinner and entertainment. -- Yes, the registration is $35 usd / day per person. For an all inclusive fully-supported challenge with meals, snacks, water, safe camping areas, nightly awards parties, Baja Walk 100 t-shirt, and memories of a lifetime. Q: What is the fundraising requirement? -- Each Walker is required to raise a minimum of $100 usd. Once you register you will receive a link to your or your teams pledging page. -- 100% of all pledges and donations will go to the San Felipe Cancer Society and Mujeres De Viven. Q: Can I walk for a loved one? YES - Support a loved one, give them strength and remember them. Q: How to Become a Volunteer - Helping Hand? We welcome all groups and individuals to help out 1 day or all 5 days. There is a volunteer position to fit your schedule, skills and passions. Search below for volunteer opportunities. Camp Logistics Team (10 - 16 people): managing the daily setup and breakdown of camp each day of the Baja Walk 100. To provide care to the walkers during their challenge. All medical volunteers are required to provide proof of 1st Aid and CPR or other certifications. Timekeeper: log time of each Baja Walker as she or he enters and leaves the camp each day. Gear Retrieval: Managing all walkers gear. Shuttle Driver (4 people): Providing transportation for the Baja Walkers and guests from Town to Camp and back again. Stagecoach Driver Team (4 people): Providing transportation for the Baja Walkers to and from the Watering Holes to Camp. Food Service Team (6 - 10 people): Helping with the food and water delivery and food preparation of meals. Clean Station Truck Team (2 - 4 people): Getting the Clean Station Truck to camp and making sure it is ready to for all Baja Walkers,staff and volunteers each day. Closing Clean Up (4-6 people): These volunteers will assist the Baja Walk 100 staff with event clean up; including all areas in the awards area. In order to volunteer, you must be 18 years or older (some opportunities are open to those 10-17 years old with an adult. Please email us for more information at thebajawalk@gmail.com to register a minor). There is no fundraising requirement to volunteer, but there is a nominal registration fee of $100 (covers food and water for the 5 days). Volunteer opportunities below; positions are available on a first come, first served basis and must be approved by Baja Walk Staff. *there is a $10 / day fee to all essentials.